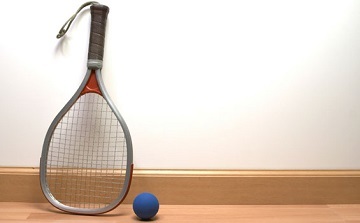 - Racquetball is described as a cross between the games of tennis and squash. It's played on a standard squash court, but unlike squash, uses a bigger and bouncier ball. 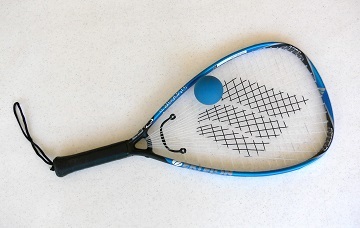 As the racquet has a longer head and a shorter handle it is easy to play with and if you haven't played racquet sports before, racquetball is a great way to start. 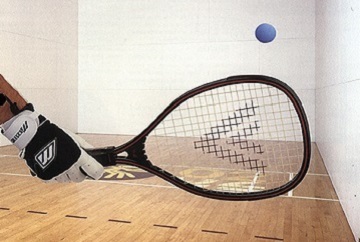 - Described as an excellent fat-burner, racquetball encourages longer rallying, giving you sustained aerobic activity. 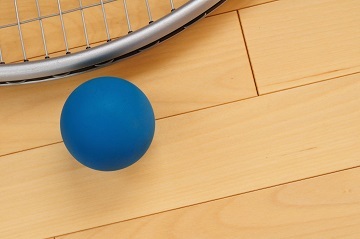 The game will also improve your hand-eye co-ordination skills as the ball bounces around the walls of the court. - You can play singles or double and mixed play is very popular. People of all ages can get onto a court and play ball. If you've played squash or tennis before and are looking for a similar game that's easier on the body, or perhaps a beginner wanting to try an indoor sport that's easy to play, then Racquetball is a perfect fit for you. Racquetball SA, in conjunction with Squash SA, runs a weekly pennant competition on Monday nights. The pennant runs from February to June (Autumn), and August to November (Spring). Teams are mixed, 3 players, with a handicap system used. Pennant Competitions are held with a home and away format. There are currently A and B grade teams representing Karadinga. - Single in-house competition held on Wednesday nights comprising of four players per team, with eight teams currently competing. 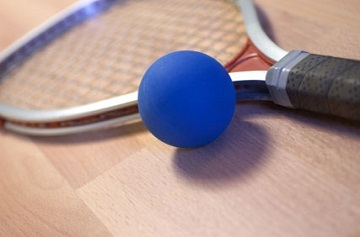 - Doubles in-house competition is held on the last Friday of each month. Come & have some fun, Bring a partner or let us find you one. Enjoy our shared supper & drinks afterwards. Contact the centre on (08) 8396 3638 to register interest or for more information.